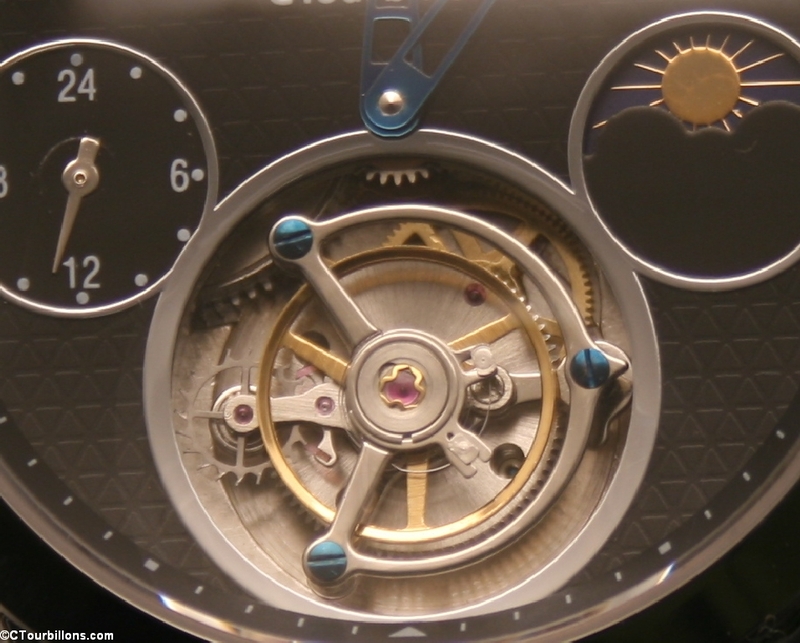 Chinese Tourbillons is a new small business that specializes in, well… tourbillons. I’ve written an article for background information on tourbillons, in which I brush on the origins and the relevance of the tourbillon cage today. Nowadays, there are plenty of Chinese-built tourbillons for sale on eBay, but sadly most of them are made to be counterfeits of existing designs. To add pain to injury, a lot of eBay sellers descibre open heart watches as tourbillons, which make search results exponentially high. That being said, the one think I like about CTourbillon’s CTM101 model is that they tried to come up with an original design, a stainless steel case of 42 mm in diameter. Also, their courbillon cage is big and symmetrical, which makes it very pleasing to the eye. 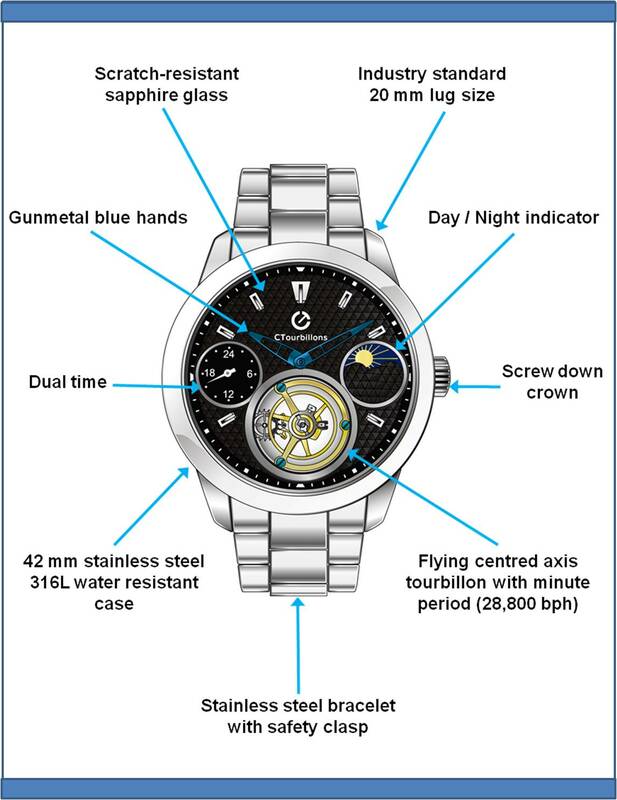 Anyway, the watch is very reasonably priced: you can grab one for GBP 399. It is certainly the cheapest tourbillon that I’ve seen. It is too bad they included a fake moon-phase indicator; kind of ruins the whole thing.